Ms Van Vee: and I Danced! Wow Hello there!!! It’s been a minute, isn’t it. Oh well, I have been having two minds about this blog, three actually. 1 is to drop everything and run – translate: delete the blog and forget I ever started. 2 is to delete this one and start a new one, on a different path and all and 3 is get back on and blog my life away. Whatever the decision might be at the end of the day I hope to be content with it. 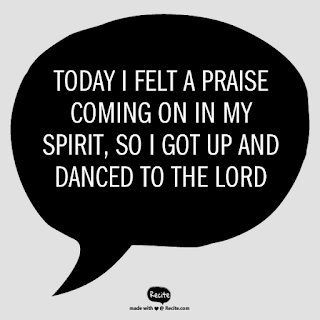 Now I just an aha moment today because of a song really and also because I was reminded to be grateful. The name of the Song is “A Jesus Song”- Dr Tumi.. beautiful song and I just had to do the picture below. I Hope you listen to the song and it lifts you up and my quote/words helps you stand up and be grateful.